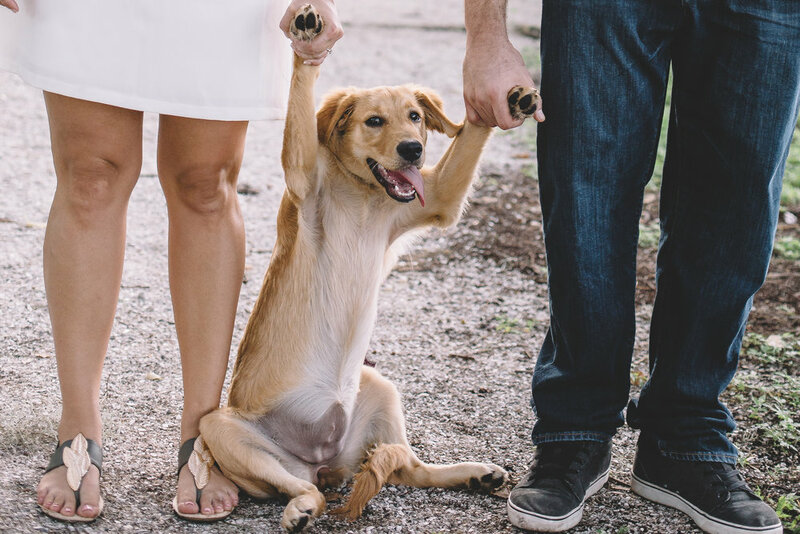 ENGAGEMENT SESSIONS ARE A BIG DEAL! This is a special time to celebrate the bond that only the two of you share. Im sure it hasn't been easy to get to this point. Yea sure, we like to focus on the glamorous parts of our relationship, but if you're anything like me you've had to work really hard to get where you are today. And that my friend is reason to celebrate! Congrats! Whether you and your man ( or lady) take every chance to snap a selfie, have had a portrait session, or this is your first time being in front of the camera together, here are few need to know things that I have learned along the way that make all the difference. For this blog were going to feature a few of our favorite couples to showcase how they ROCKED their engagement session. 1. Choosing two outfits for the session is ideal. Generally one is a little more casual than the other but feel free to have two casual or two cocktail style or a mix like Blakley rockin a gorgeous white dress while Hank stayed in his button down, jeans, and boots! 3. Be You! Wearing what your comfortable in will translate into your portraits. Adding your own personality into your session will capture who you are as a couple. Phil + Marybeth brought along a blanket and they LOVED cuddling. So naturally, they cuddled! 4. Plan for the season. 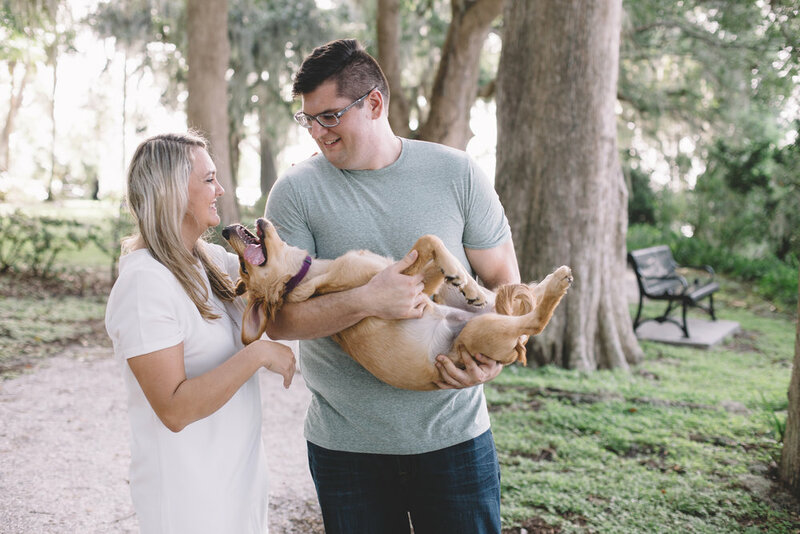 We do most of our shooting in Central Florida and are pretty adamant about the weather during our rainy season so when Jenna + Chris picked day where rain was possible, instead of freaking out, we embraced it and got a romantic kiss under an umbrella. On the other hand, if you find the temp to be a little too warm for you, then layering is better. Undershirts can be a lifesaver if you're prone to sweating. 5. Accessories!! Scarves, jackets, and jewelry are your friend. 6. Pick a location that is meaningful for you. If there isn't a particular place that means something to you don't worry. It is our job to capture you, not a pretty background. Here are a few portraits that display an incredible backdrop for the day. And also, some that show off when it doesn't matter where you are. Your bond is the star of the show. 7. Incorporate something special to your session. Heres the deal on adding our furry friends to our session. Make sure to bring an extra person to help out when its not the pets turn to be in front of the camera. Make sure to have treats, doggie bags, and a plain colored leash thats not distracting. On top of everything, make sure to let go of stress about the dog not behaving. Chances are they won't do everything right, but who does? We can work with them :) Check out James, Sierra, and Korra! 8. Pick something flattering to your body type. It may sound obvious but many of us forget that we will be captured from angles that aren't a selfie :) For instance, I don't particularly like the way I look in sleeveless tops, but I LOVE off the shoulder options. Even though I go sleeveless the majority of the time I don't want to be photographed that way. Dante dawns a super red beard, which means he shouldn't be wearing many shades of red. So he sticks to blues, olives, and neutrals. 9. Ladies today is a great day to treat yourself to professional Hair and Make-up. This is a day of celebrating your love so why not feel and look your best?! Having your hair and make-up done can take away a ton of stress and help you to be relaxed. It will also give you a pretty good idea of what you will look like on your big day. Think of it as a trial run for the wedding. This is not one of the things you want to forgo. 10. HAVE FUN! Remember to plan, pick out your complimenting attire, get your hair and make-up done, and let loose. Whatever happens happens, even if your man throws you over his shoulder :D Happy Engagement Session planning!